When I saw this idea at Pleasant Home I knew I had to make them for my daughter. 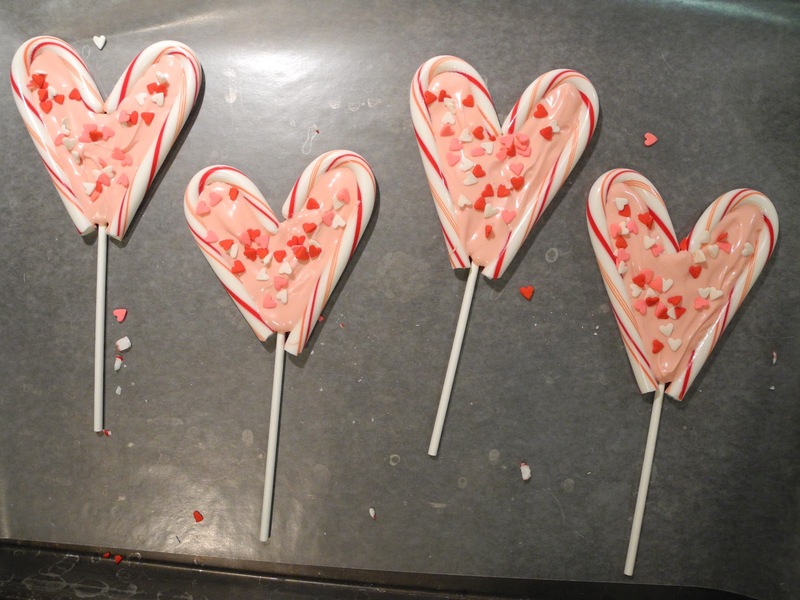 She loves the white chocolate peppermint combination, and of course I want to send her a Valentine’s Day care package to college, and with a plethora of leftover candy canes from Christmas, this was the perfect project. Yes, I know I run the risk of her seeing this before she gets the package, but she is not really into food, and I don’t think she even looks here. I made both small and large. The small ones were MUCH easier. The large end up oddly elongated unless you break a bit of the end off. Sounds easy enough, I know. 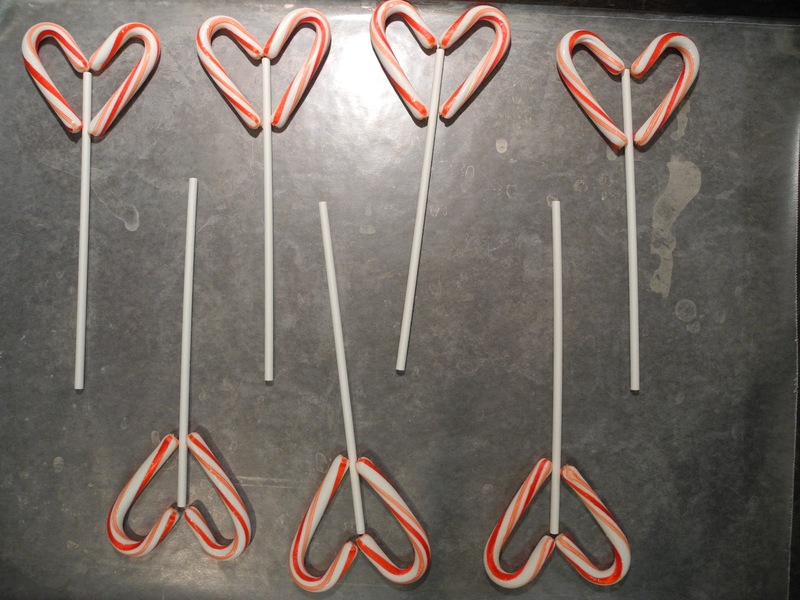 Trust me, getting candy canes to break or cut where you want them to is not an easy task. 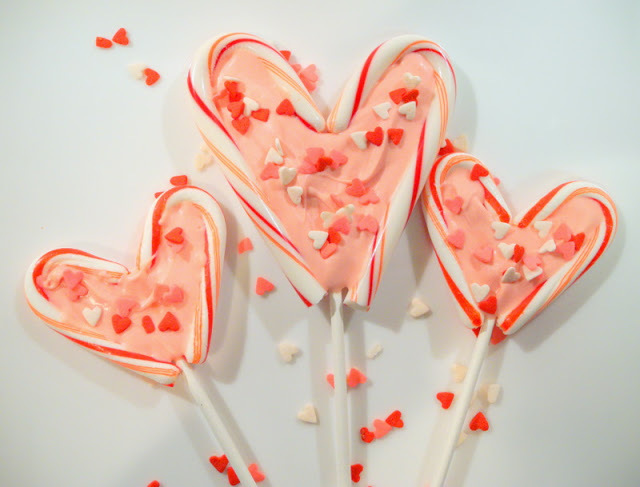 I used pink candy melts in the center and decorated them with heart shaped sprinkles. I made six small and four large and used a little less than a pound of melts. First, lay out the sticks and canes on a wax paper lined cookie sheet. 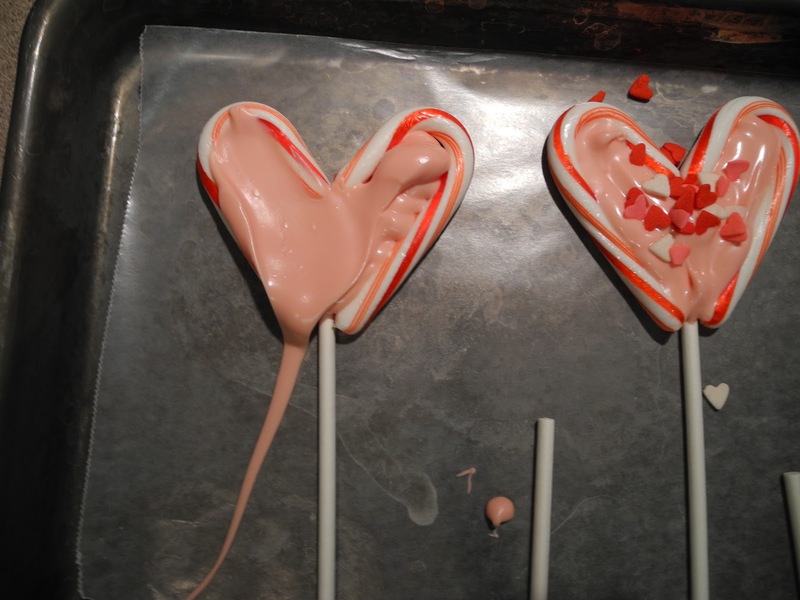 Then, spoon the melted candy into a zip lock bag, snip a corner, and pipe the candy into the center of the canes. You will need to smooth it a bit with a knife. Then sprinkle on the hearts. Be careful not to overfill as overfilling will result in the mess pictured above. 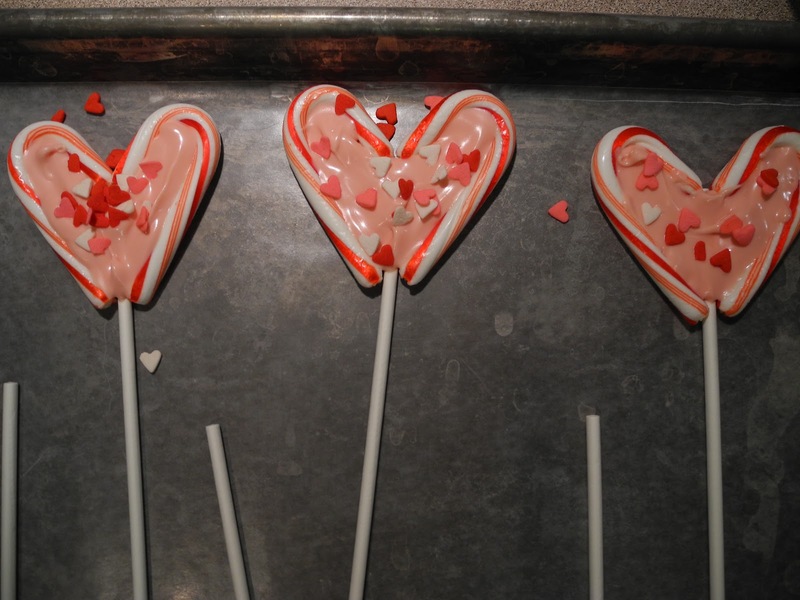 Let them set at room temperature until the candy is completely cool and hard. These are the large ones.